FARMINGTON - Theresa Richard, BSN, RN, CMSRN, a nurse in charge at Franklin Memorial Hospital, recently earned the Certified Medical-Surgical Registered Nurse (CMSRN®) credential from the Medical-Surgical Nursing Certification Board (MSNCB). Richard joins a prestigious group of more than 24,000 CMSRNs. Richard has worked at Franklin Memorial for 18 years. 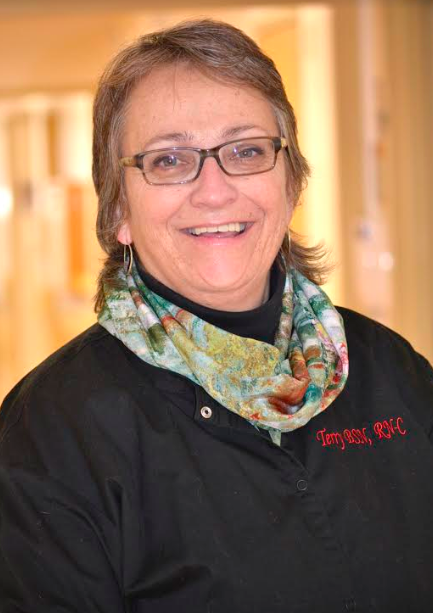 She has worked on the hospital’s Medical/Surgical unit her entire tenure and fills in per diem as clinical coordinator. Medical-surgical nursing is a specialty with a distinct body of knowledge, skills, and abilities. CMSRN certification validates that a nurse possesses advanced clinical knowledge and demonstrates that the highest standards of medical-surgical nursing practice have been achieved. The CMSRN exam is provided by MSNCB and is the only medical-surgical nursing certification test endorsed by the Academy of Medical-Surgical Nursing (AMSN). The exam is accredited by the Accreditation Board for Specialty Nursing Certification, formerly the ABNS Accreditation Council. Hey Terry! Looks like that Mexico and Wyoming education paid off! Glad to read this exciting news! Way to go Terry - You didn't really need the degree to prove your smarts - but it's a nice addition to your resume. Congratulations. One heck of a nurse! Terry congratulations So proud of you,Im sure you worked hard for this.You are so smart. Congratulations, Terry! Great job earning the CMSRN certification. Congratulations Terry on this accomplishment! We are fortunate to have such an educated and talented nurse on Med/Surg. Good job Terry , Congratulations !